Flyball is a great way to build a strong bond between you and you dog and to keep active dogs entertained and happy. This folding unit is lightweight and includes a large non slip footplate and tennis ball. Includes a a ball storage port at the top of the Flyball unit so you won't have to worry about losing it. 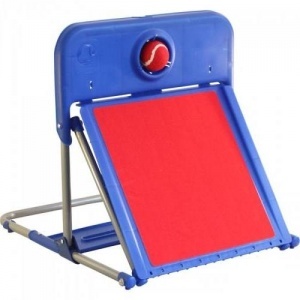 For easy storage the Flyball can quickly be folded for storage or transportation. Includes an informative leaflet with tips and exercises to help you and you pet get the best out of your product.